LADAKH Beyond the well-travelled Indus Valley, beyond the highest motorable road pass in the world (Khardung La, at 5,359 metres), lies the so-called River of Sadness, where flash floods have repeatedly devastated local communities in the lower meadowlands. On a yak-grazed plateau above, looking towards the Karakorum Range, is Kaafila Camp. Within walking distance of a tenth-century Bodhisattva, it’s made up of canvas tents outfitted with proper beds and beaten copper sinks. 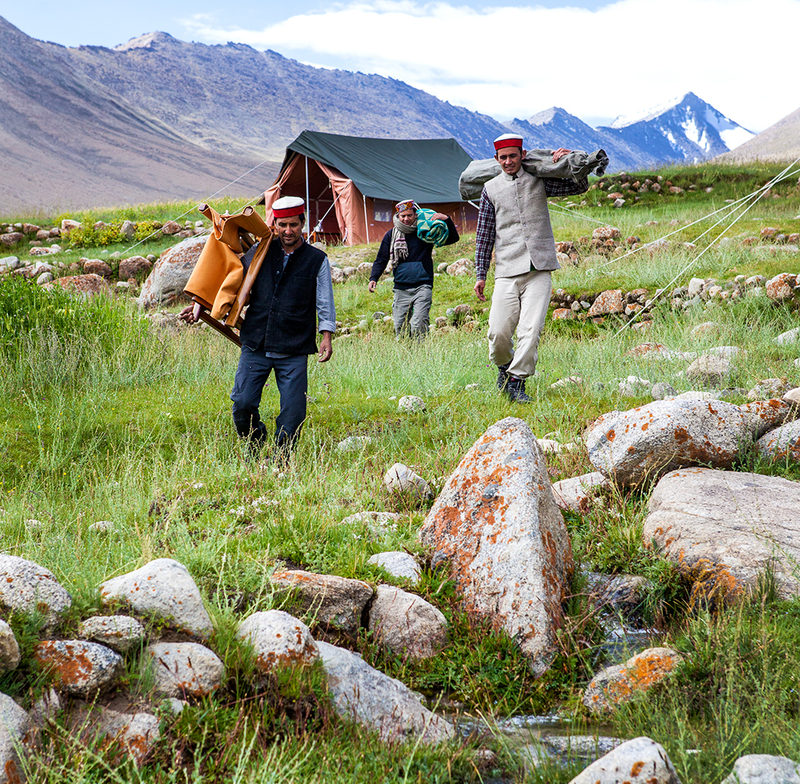 In summer seek out the shy Himalayan snow leopard (one of the Indian owners is a specialist); in winter join the mobile camp in lowland tiger country. 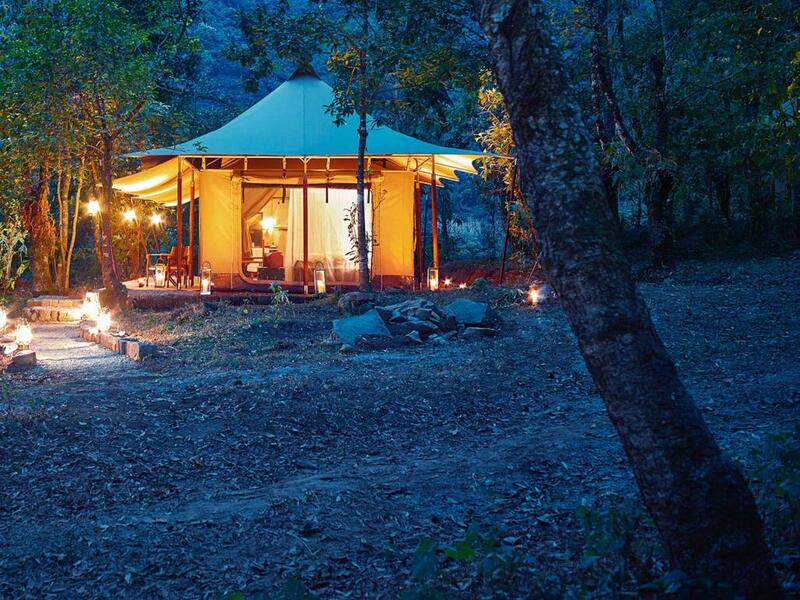 kaafilacamps.com; from $2,100 per person all inclusive for three-day minimum stay, based on four sharing. KUMAON HIMALAYAS In India’s under-visited Uttarkhand, the higher altitudes are covered in oak and rhododendron forest, criss-crossed with trails. The lower routes weave through sleepy villages and terraced rice paddies. It takes commitment to get here: an eight-hour sleeper from Delhi to Kathgodam. But it’s worth the journey. 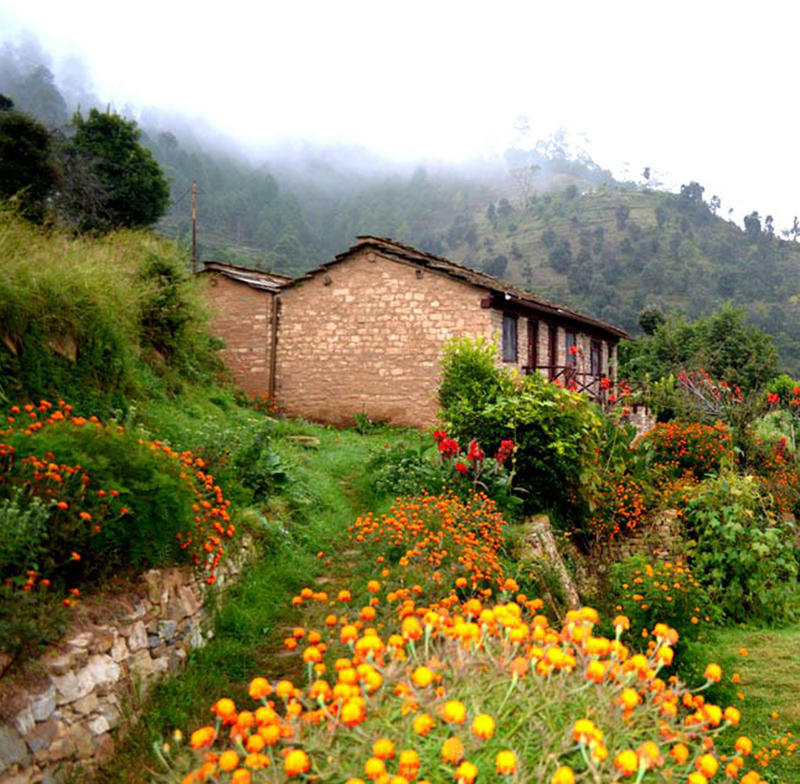 For those with deep pockets, Shakti (shaktihimalaya.com) offers guided hiking between village houses. For a good-value alternative, book into Itmenaan Estate. Dearly loved for its location and old stone house (above), it also offers a four-night village walking circuit. itmenaanlodges.com; from £70 per night B&B, based on two sharing. NEPAL A year after the earthquake, tourism in Nepal is getting back on its feet. The Pavilions Himalayas, at the foot of the white-crested Annapurna Range, near Nepal’s third city, Pokhara, is just a 30-minute flight west from Kathmandu. One could easily stay a week, combining Ayurvedic massages with rafting, hiking and monastery visits, topped off with organic food produced on nearby farms. Thankfully the lodge isn’t dependent on Nepal’s capricious national grid, but uses solar energy, while showers are fed by rainwater. thepavilions.global/himalayas/; villas from $250 per night for two people. 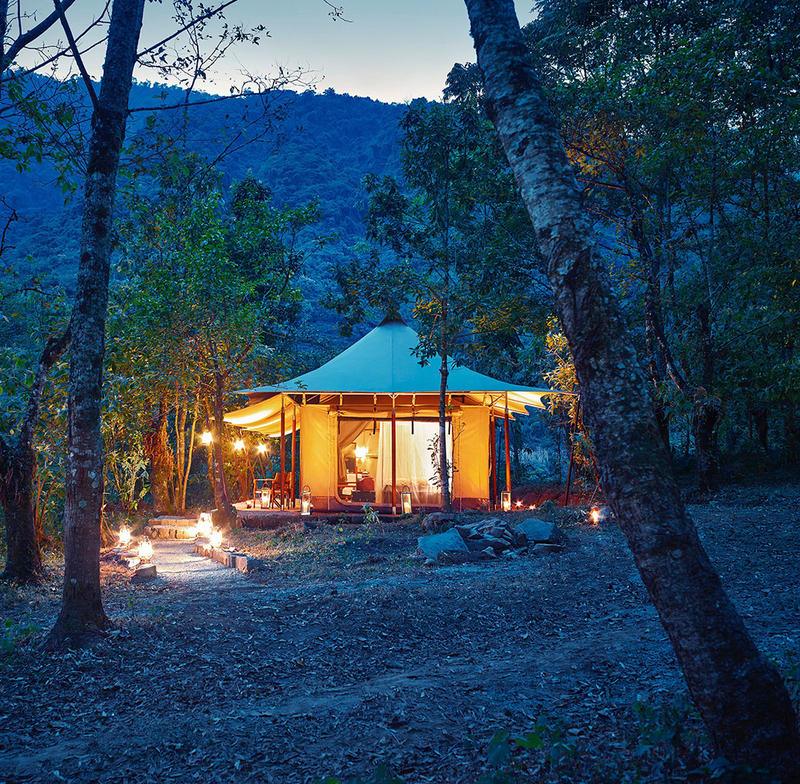 NAGALAND The colonial tableau of Kohima Camp is familiar from 19th-century expeditions into the Himalayas: canvas tents large enough to wage a campaign from, valets serving whisky and soda at six. This mobile camp goes up in Nagaland in India’s north-east Himalayas for the first two weeks of December to coincide with the Hornbill Festival, when 16 tribes gather for ten days. It’s the most comfortable way to do it, though some might find the four-posters and chandeliers a step too far. After the camp’s brief sojourn in this feisty, little-visited region, it relocates to Ladakh for the summer. tutc.com; minimum two-night stay from $1,731 per person all inclusive, based on two sharing.